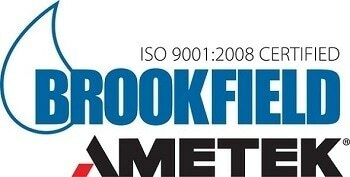 The DV3T rheometer from Brookfield is a sophisticated rheometer with easy-to-use intuitive controls. A 7-inch full color touch screen conveniently displays all test parameters along with measured values for yield stress, viscosity and temperature. On screen graphing shows real-time test data which can be captured in stand-alone mode, recorded on a printer or sent to a PC. Built-in math models, such as Power Law, can provide rapid data analysis for flow index and other selectable variables. Quick, straight-forward, single point viscosity is also easily accomplished with the DV3T making it the ideal "all-in-one" instrument for busy QC labs as well as demanding R&D departments doing comprehensive flow behavior.